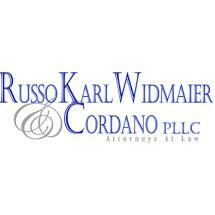 Russo, Karl, Widmaier & Cordano, PLLC, protects the rights of clients in New York and throughout the Riverhead area. With more than 25 years of experience, we understand how the law works and how to provide you with the benefit of its protections. Because the legal process can often feel anonymous, we make personalized service our firm's hallmark. When you work with us, you get the benefit of sitting down with our team so we can build a relationship with you. You will know us and we will know you. We draw on that knowledge to provide you with legal recommendations uniquely responsive to what you want out of the legal process. You can depend on us to help you understand your options and to choose from those options wisely. Learn more about how we can help you during a free initial consultation. You can schedule to meet with us at any one of our conveniently located offices: Hauppauge, Riverhead, Garden City, Northport and Brooklyn.